It's easy to "go Greek" over Labor Day weekend at the St. Nicholas Greek Festival in the Central West End. The annual event is a great chance to experience the best of Greek art, dancing, music, and food. The celebration was recently voted the Best Local Festival in St. Louis Magazine for its lively atmosphere and tasty food. The St. Nicholas Greek Festival is held each year during Labor Day weekend and this year promises to be bigger and better than ever. The festival is celebrating its 100th anniversary in 2017! It's held at St. Nicholas Greek Orthodox Church at 4967 Forest Park Avenue in the Central West End. Free parking is available at the BJC Garage near the church. Admission is free. The celebration begins on Friday with Athens on the Street. This is a newer event added to the festival last year. It's a giant, day-long street party on Forest Park Avenue to kick off the holiday weekend. Athens on the Street features live music and a select menu of Greek food and drinks. As you would expect, the food is one of the big draws at the St. Nicholas Greek Festival. 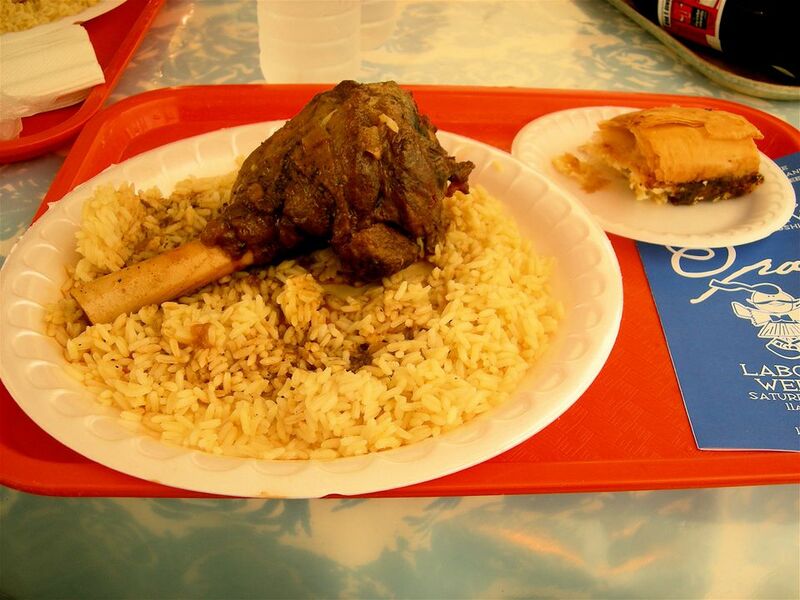 There is a large menu featuring dozens of Greek favorites like lamb shanks, gyros and spanakopita. And for dessert, don't miss the baklava. It is fantastic! There are also more than a dozen other Greek pastries, cookies and sweets to sample as well. In addition to the food, the festival is known for its music and dancing. This year, the live entertainment includes music by Christos Sarantakis and folk dancing by the St. Nicholas Greek Dancers. For those who want to do a little shopping, there is a gift shop with jewelry, art, cookware and other imported items from Greece. The festival accepts cash and all major credit cards. Money raised from the event supports St. Nicholas parish and its ministries. St. Nicholas is a beautiful church filled with paintings, art, and religious icons. You can learn more about the church building and Greek Orthodox Christianity by taking a church tour during the festival. The tours provide information on the history of St. Nicholas parish and offer an introduction to some of the main beliefs and practices of the Orthodox faith. Church tours are given each day of the festival at 1 p.m., 2:30 p.m., 3:45 p.m., 5 p.m. and 6:30 p.m. The church bookstore also sells a wide variety of religious books, videos, and CDs about Greek Orthodox history and theology for anyone wanting additional information. The St. Nicholas Greek Festival is just one of the many popular events in the St. Louis area over Labor Day weekend. There's the Japanese Festival at the Missouri Botanical Garden, Midwest Wingfest in Fairview Heights, Big Muddy Blues Festival on Laclede's Landing and much more. For information on these and other events, see Top Ways to Celebrate Labor Day Weekend in St. Louis.